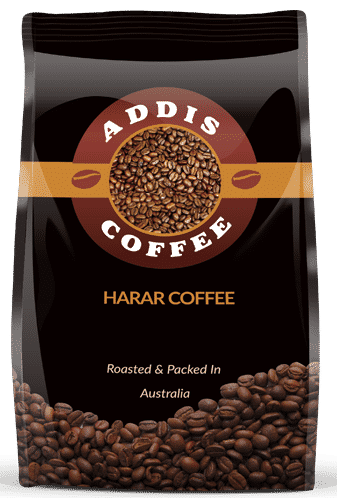 Harrar coffee is one of the world’s most prized coffees, has a medium to light acidity, full body with typical mocha flavour and a winey aftertaste. There are two types of varieties – Short Berry and Long Berry, the latter is considered the most desirable. 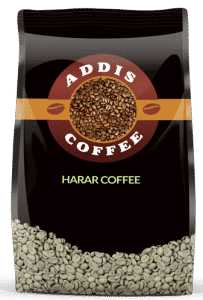 Harar coffee is found only in dry processed and the beans are slightly yellowish green. Medium to light acidity, full body, strong mocha flavour with blueberry notes. Harar is in the Eastern highlands of Ethiopia. It is one of the oldest coffee beans still produced and is known for its distinctive fruity, wine flavour. The bean is medium in size with a greenish-yellowish colour. It has medium acidity and full body and a distinctive mocha flavour. Harar is a dry processed coffee bean with sorting and processing done almost entirely by hand. Though processing is done by hand, the labourers are extremely knowledgeable of how each bean is categorised.